A booklet designed by young carers to help young carers understand more about mental illness in the family. Contact us for details on how to obtain your copy. Free to young carers in Gloucestershire. A child friendly booklet for any family who may need to develop a crisis plan for their children, available from Gloucestershire Young Carers. 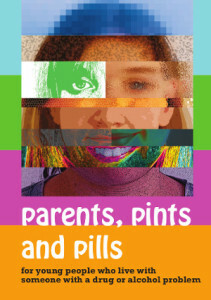 A booklet designed by young carers for young people who live with someone with a drug or alcohol problem. Contact us for details on how obtain your copy. Posters which can be used to raise awareness of young carers’ issues in companies, organisations, schools or doctor’s surgeries. Moving Up to Secondary School Leaflet designed for young carers and their families. Aware You Care Postcard for use by teachers in engaging with young carers. A recipe book designed by young carers with Gloucestershire NHS, full of favourite recipes and even a few tips from some celebrities.